Anyone who still remembers the elementary school method of multiplying two integers should agree that this problem is easy even when armed only with pen and paper. Calculating 167714 x 988675 might look cumbersome at a first sight but, if you have to do it, it will take you few minutes or so. What about multiplying 65446568786432344 x 1976544568? This is probably twice as annoying and time consuming compared to the previous multiplication, however, it is still do-able in a reasonable amount of time. There is currently the belief that, for even slightly bigger numbers as RSA-1024, only a quantum computer can find the factors in a reasonable time. People usually don't like solving number related problems, but they spend time easily on board games, even if these games are hard. 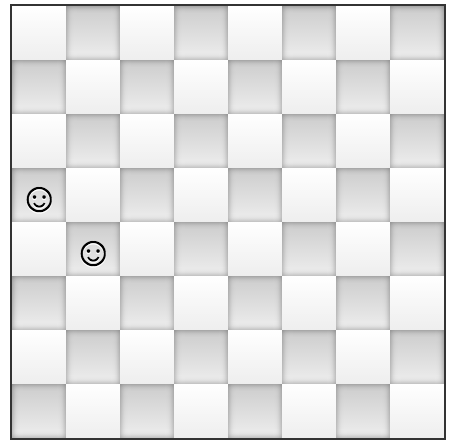 Can integer factorization be seen as a board game? 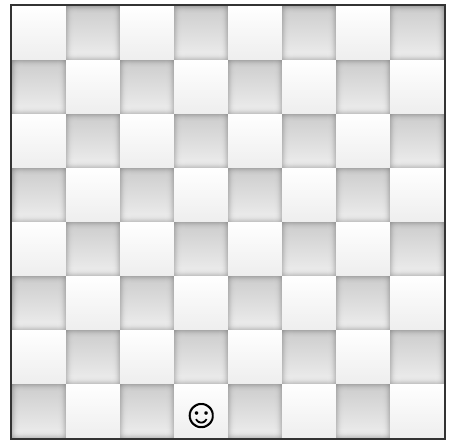 It turns out that yes, you can reduce any integer factorization problem to a solitaire game played with tokens on a big enough chess board. 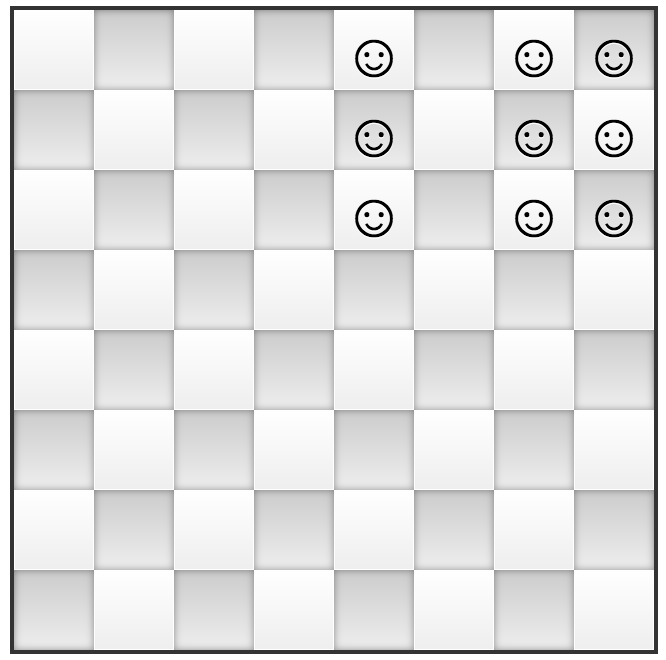 To explain the rules let's start with a normal chess board having only one token at position C2. 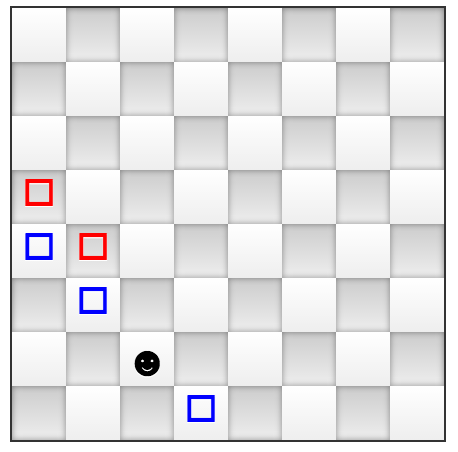 There are only two kinds of moves: either moving the token on the top-left down-right diagonal (the "blue" moves), or replacing the token with two new tokens located on the next (top-left down-right) diagonal. 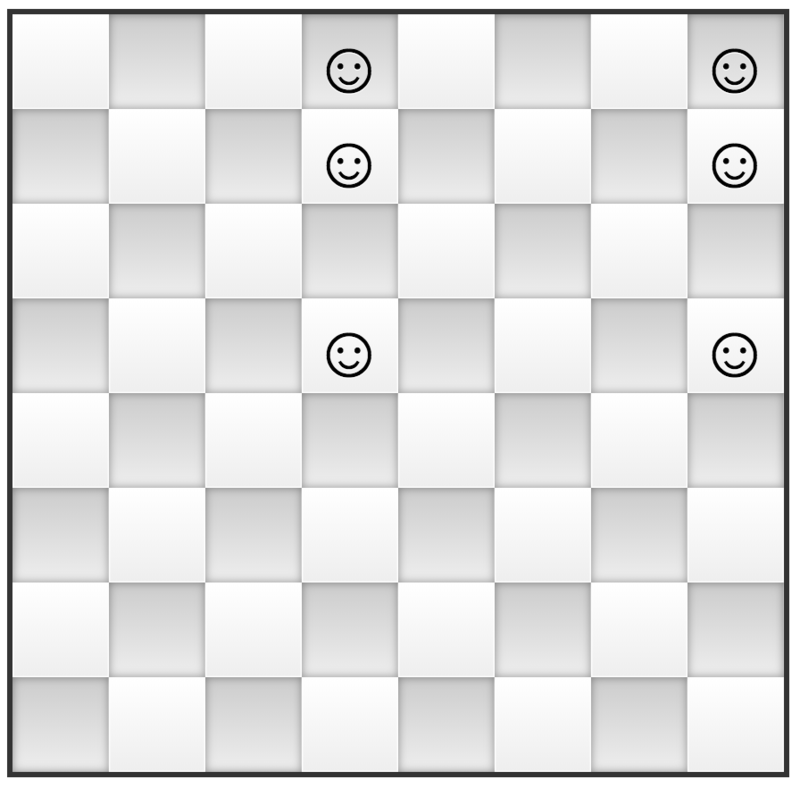 while a "red" move is replacing the token from C2 with two tokens located on the E1-A5 diagonal, as shown in the image that follows. Before pondering and finding yourself why is this game as hard as integer factorization why don't you give it a try and play the integer factorization game now?